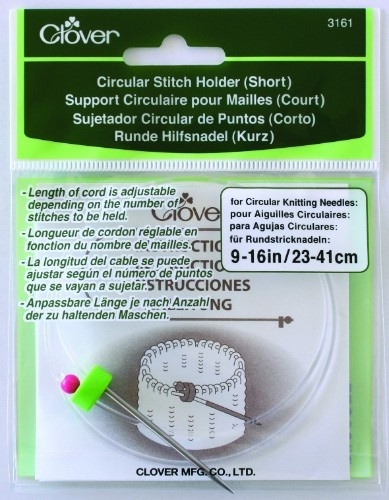 Clover Circular Stitch Holders Short and long available.<br> A convenient way to store your circular work.<br> Keeps the shape without compromising the stitches. 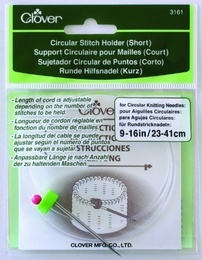 Length of cord is adjustable. Depending on number of stitches to be held. 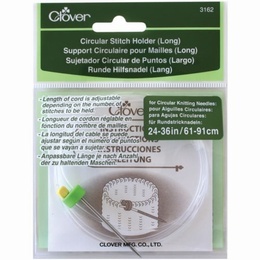 Clover Circular Stitch Holders Short and long available. A convenient way to store your circular work.